Black Paracord Key Chain With Carabiner - 300-LB Hand-Woven Paracord, Metal Key Ring - Length 5 3/4” | BUDK.com - Knives & Swords At The Lowest Prices! 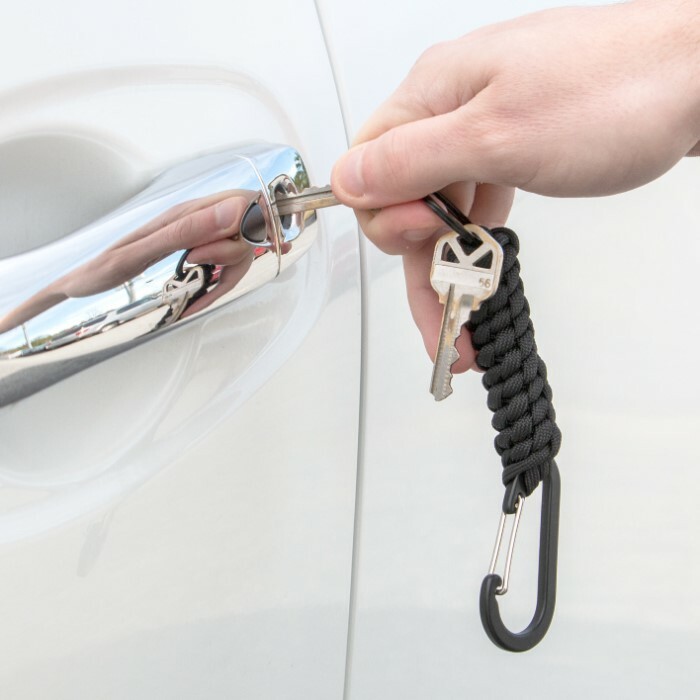 Our Black Paracord Key Chain With Carabiner is a convenient way to carry a good length of paracord with you, every day, in case of emergencies. Paracord is one of the most valuable survival tools you can carry with you because of its strength and sheer versatility. 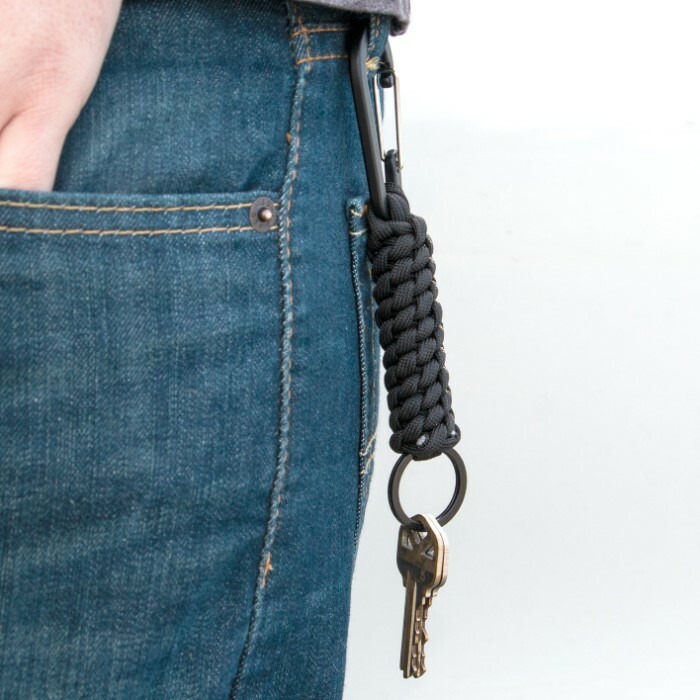 The black paracord used to craft this keychain is ultra-durable, military spec. 300-lb paracord that has been hand-woven. 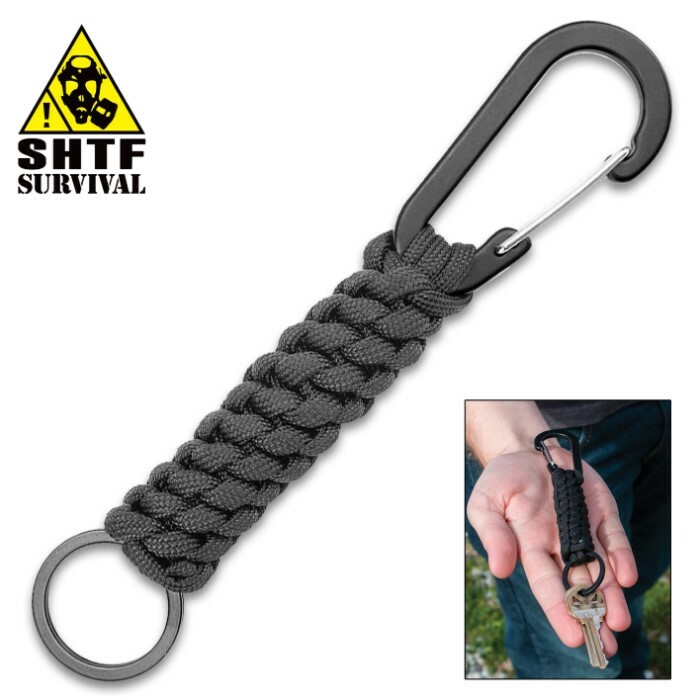 On one end is a heavy-duty metal carabiner and on the other end is a metal keyring.